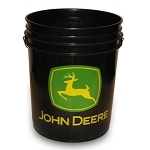 The Double Bucket Holder Keeps the Most Useful Garden Tool within Reach: the 5 Gallon Bucket! 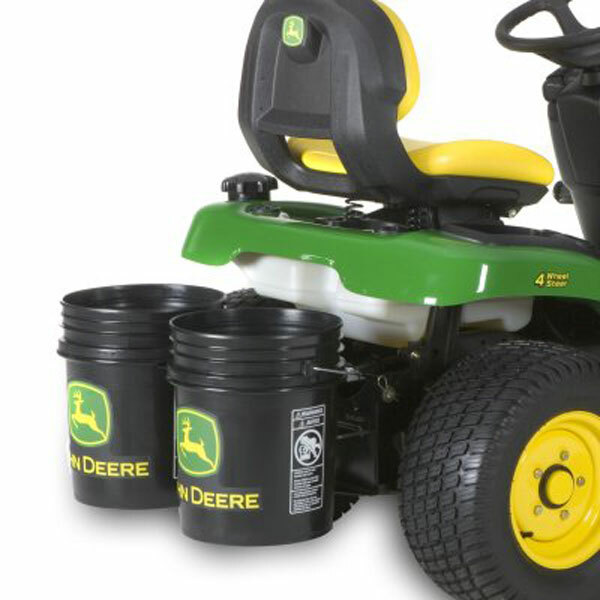 The Double Bucket Holder now fits all Select Series Tractors, including the X700 Ultimate Series. It has a simple initial assembly, a NO TOOLS mount and is designed for use with standard 5 gal. buckets. Its all steel construction enables it to carry up to 70 lbs of material making it perfect for transporting mulch, plants or yard waste. Please note: Buckets are not included. This is a great product I only wish you did not have to remove it to use the hitch. It does remove easily though. Nice product, very handy, however; if you have a hard side cab such as a Curtis, you will need to modify the product by drilling new holes in all three locations to fit the quick connect built into the cab. Easily completed as long as you have some mechanical dexterity. One more thing is the carriage bolts with the square attachment are to long to actually make a strong solid connection, you will need to use washers for spacers and you will need to drill/file out the center of the washer to accommodate the square portion of the bolt. Very easy to install. Very useful. Great Service.